Postcard US-3957031 to China shows a painting The Sacrament of the Last Supper by Salvador Dalí. Completed in 1955 after nine months of work, it remains one of his most popular compositions. Since its arrival at the National Gallery of Art in Washington, D.C. in 1955, it replaced Renoir's A Girl with a Watering Can as the most popular piece in the museum. 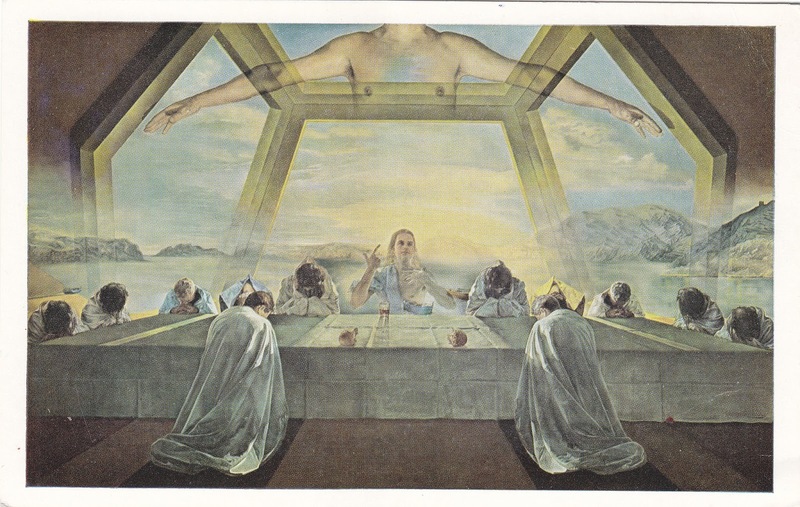 Labels: 1955, China, most popular, museum, National Gallery of Art, painting, postcard, PostCrossing, Salvador Dali, sent, The Sacrament of the Last Supper, US-3957031, Washington D.C.